Our multidisciplinary team of leading tax, legal and accounting professionals provides a full range of tax consultancy services across all tax heads for national and international clients. We get to know each client’s business needs and focus on delivering a bespoke service that meets the needs of each transaction in an effective, timely and cost-efficient manner. Led by highly experienced Tax partners recognised for their national and international expertise, our Tax team works with multinational and domestic corporations, financial institutions, investment funds and start-ups. We provide an integrated and comprehensive service, working closely with our colleagues in other practice areas to deliver innovative solutions. Our noted expertise in cross-border transactions includes coordinating input from specialists in the Dillon Eustace international offices and from leading tax lawyers in all major jurisdictions. Asset management and investment funds. Corporate banking and real estate finance. Tax reporting obligations (including FATCA and CRS). UK Alternative Investment Management Association (AIMA). Irish Debt Securities Association (ISDA). Irish Funds (IF) – the Dillon Eustace tax team is represented on all four IF sub-committees. Law Society of Ireland; Taxes Administration Liaison Committee (TALC) for Indirect Taxes. 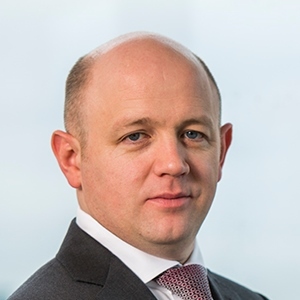 The owner on the restructuring of three large hotel groups, comprising over 80 hotels, with syndicated senior and mezzanine loan facilities totaling over GBP 300m. A consortium of institutional investors on the structuring and funding of a transaction to acquire up to USD 5bn worth of consumer loans over the next two years from Prosper Marketplace Inc, a pioneering US online lender. A UK lender on its provision of secured credit facilities to refinance various retail and commercial property developments, mainly in Dublin. Irish regulated real estate funds on the acquisition or refinancing of mainly Irish real estate. US fund managers on establishing Irish regulated loan origination funds. An Italian investment group on a cross-border merger into Ireland. A US company which is a leader in providing Information about property and casualty insurance risk on the acquisition of an Irish company which is a leading solutions provider to the Irish general insurance industry. A private equity fund in acquiring over GBP 2bn of real estate loans from the Aviva group and the subsequent refinancing of the acquired loans. A borrower on credit facilities of approximately GBP 162m to fund the acquisition of a healthcare group which owns 75 care homes in the UK. Goldman Sachs and CarVal on the acquisition of the Parasol Portfolio from Bank of Scotland plc – reported par value approximately €2bn. 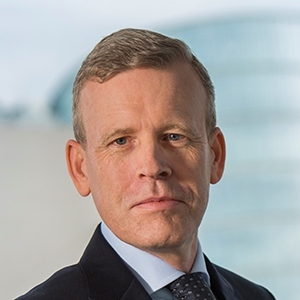 A Danish credit fund on the DKK 2bn issuance of asset-backed notes under Irish law by an Irish special purpose vehicle and listed on the Irish Stock Exchange.